Here’s how to downgrade iOS 12.0.1 to iOS 12.0 or iOS 11.4.1 on your compatible iPhone, iPad or iPod touch the right way. Apple is throwing out software updates all over the place, and, as such, means that iPhone, iPad, and iPod touch hardware all over the world are taking advantage of the new versions. However, not everything is always as it seems and some people may regret the update, find that it doesn’t perform as expected, or will just want to go back from whence they came. If you have updated to iOS 12.0.1, and that applies to you, then the steps below are going to show you how to downgrade to iOS 12.0 or iOS 11.4.1 while those firmware versions are still being signed by Apple. A working PC or Mac with Apple’s latest version of iTunes installed. The knowledge that you can currently only go as far back as iOS 11.4.1 as that is the latest version of firmware that Apple is currently signing. And, even that will likely only be for a limited period of time. Step 1: First and foremost, you are going to need to have the right IPSW file for the firmware version that you want to downgrade to for your specific device. So, if iOS 12,0 is your destination, then you will need the iOS 12.0 IPSW for your particular iPhone or iPad model, and so on. You can find those files in the links above. 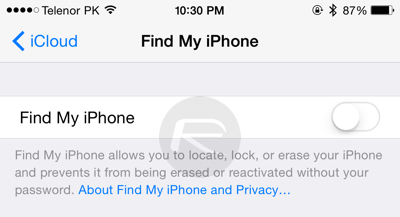 Step 2: Now, on the device, launch Settings and navigate to iCloud > Find My iPhone and make sure that the feature is turned OFF. You will need your Apple ID password for this. Step 4: Now, with your device in DFU mode and sitting waiting for interaction in iTunes, hold down the Option key on a Mac or the Shift key on a PC and click on the Restore iPhone/iPad button within iTunes. You’ll be asked to select your IPSW file which is the one you downloaded earlier. Navigate to where this is saved on your machine and select it. Step 5: Once you have selected the file, it’s simply a case of sitting and waiting patiently for iTunes to go about its business and restore the device to the firmware file that you selected. If you are preparing yourself to go through the process outlined above then keep in mind that there are no real jailbreak benefits to rolling back to iOS 12.0 or iOS 11.4.1. The latest jailbreak out in the public domain – Electra1131 – only supports up to iOS 11.3.1, meaning that if you do find yourself running iOS 12.0 or iOS 11.4.1, then it’s going to be a continuous stock iOS experience for you. 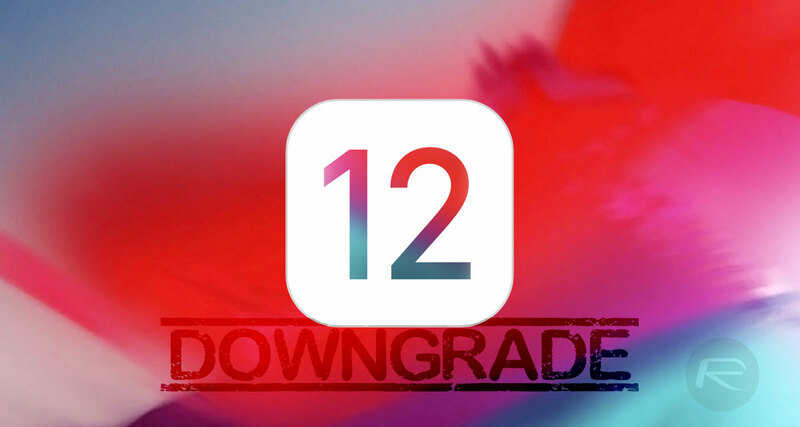 Performance tests have also shown that iOS 12.x also brings additional speed benefits over various versions of iOS 11.x.x, so unless iOS 12.0.1 has fundamentally broken something for you, there doesn’t appear to be any immediate benefit to downgrading. Definitely worth keeping the above in mind before you proceed. You can’t downgrade to 11.4.1 anymore.